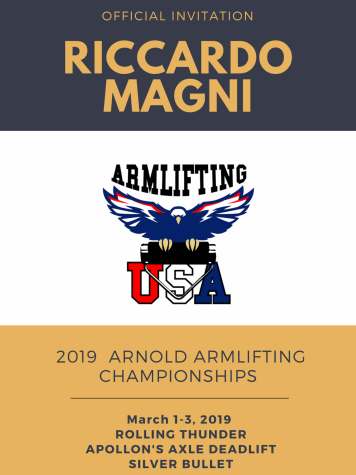 Mr. Magni has gone to two weight lifting competitions since the beginning of the school year. His first competition at the start of the school year he traveled all the way to Finland to lift for The United States. 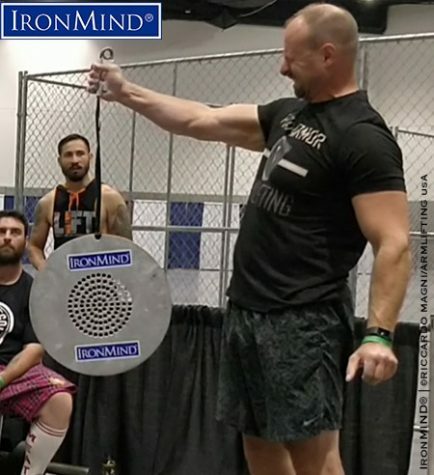 This past weekend Mr. Magni traveled to San Diego to go lift at 2018 IronMind ViseGrip Viking Armlifting USA Grip Contest at the San Diego FitExpo and he was awarded best lifter out of all his other competitors. Mr Magni traveled to Finland August 25, 2018 and placed 9th overall. Q: How was the Finland Competition? A: “Finland was fantastic it was great trip beautiful country the people were very friendly. I wound up getting 4th out of 13th in my weight class which was the 231 pound weight class. Overall I got 9th out of 35 men, I was very happy with the outcome of that especially since I was competing in a ten hour time difference. The beginning of the contest started at 11:30am to about 4 am our time which means I wasn’t at my peak strength the whole time. The competition was tough but I had a great time and made a personal record in three of the events. The events I made personal records in are called 80mm Pinch Block, The Finnish Ball, and The Adjustable Thick Bar hold. I defiantly enjoyed myself and the three PR’s really raised my ranking in the competition. It was a very positive competition and if I get the chance again I would love to go back to Finland. Q: How was your Competition this past weekend? A: This past weekend I had mixed emotions. There were two separate contests one on Saturday and one on Sunday. The Saturday contest was a little bit of a disaster for me because I was about ten to fifteen percent down on my strength levels, I was one of the organizers for the competition so my priorities were a bit spread out. My co-organizing partner who organized the volunteers did not show up so I became the volunteer who was running the event, instead of just lifting I was also working. Running the events was distracting and took a lot more energy then I anticipated. 11 out of the 20 people were there because of me and I felt guilty and a responsibility to make sure the competition ran smoothly at my own cost. Saturday evening I did some deep reflection getting ready for Sunday’s competition. Sunday I came out and set personal records in two out of the three events and I won the contest and was named best lifter. I was very happy with my mental ability to rebound from the Saturday competition. I went form a horrendous disaster to winning my first professional competition and also being named the best lifter, that definitely made the ride home a lot better. Q: what are your nest compotions coming up? 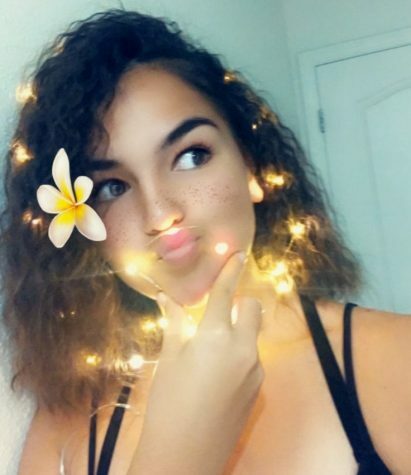 A: I have three more contest coming up now, maybe four competitions. I h ave one in Thousand Oaks December 8th, then the LA Fit Expo January 27th, and last but not least the biggest is The Arnold Classic in Columbus, Ohi0 March 1st-3rd. In The Arnold Classic there are only two male weight classes. I’m in the skinny guys vs the monster guys. There were only seven people invited worldwide. It makes me feel good that some one believes that I’m at the top of my game. The three events in Columbus are my best three events. The three events are the Rolling Thunder, The Axel Deadlift, and the last is The Silver Bullet hold with the gripper. I think I’m going to have a chance to make some noise on the world record on the gripper. I’m very excited I’ve already begun training. The final Contest of our school year will be in Russia if everything goes as planned. The Panther Tales would like to say a big congratulations to Mr. Magni for winning his first professional weight lifting contest! No doubt this win will be the first of many to come this year. Stay safe and keep on lifting!